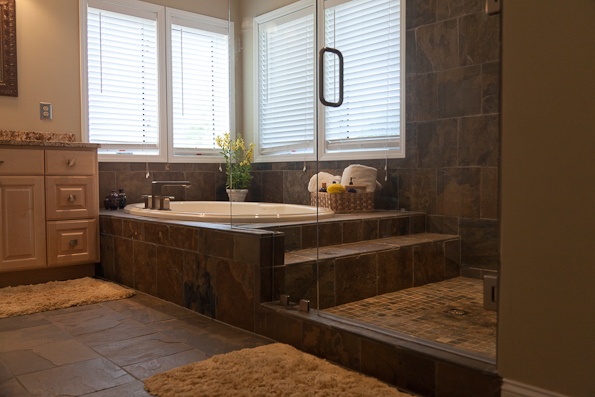 A new bathroom remodel should be fashionable, comfortable and practical in use. One of the big differences with a bathroom remodel is the amount is the amount of moisture that the bathroom fixtures, accessories, furniture and walls must absorb. It is essential that a bathroom is built with durable materials that are intended to withstand the humidity of a bathroom. Look for a design that won’t shortly be outdated and will compliment your home. Start your plan by thinking about your new bathroom. 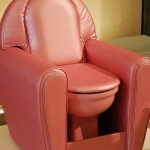 Start off by really thinking about who will use the bathroom and how they will use it. Is it for guests or for you and your family? 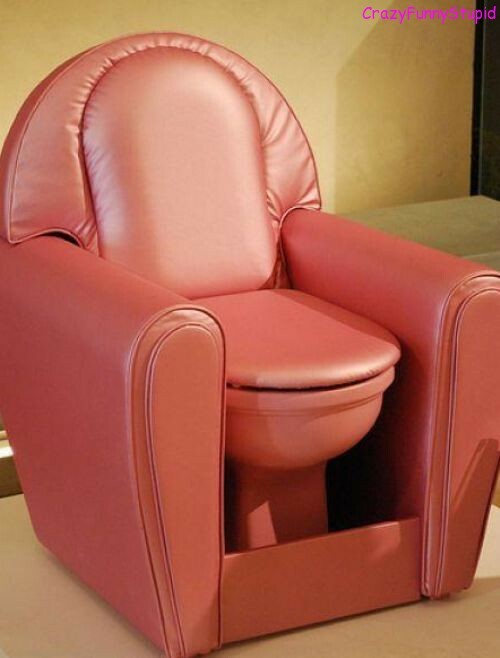 Will more than one person be using the bathroom at the same time? Will you want to use the bathroom to get ready in the morning? if so what should it include? If the bathroom is going to be used for kids think about how their use will change as they get older – n how they will get bigger. Let the use of the bathroom help you decide how you will proceed and what to prioritize. After you have a good idea of the uses for the bathroom, you will have to compare them with the limitation s of the cost of the bathroom remodel and the space that you have available for your new bathroom. Taking a few moments to answer these questions before you start will help you get the bathroom that you really need and want. A good tip for getting started is to put your ideas down on paper first. Once you’ve designed your ideal bathroom, set yourself up with a budget. Make sure to include costs for contractors, electricians and plumbers. If you know the basic cost of things, you can be sure to not get taken advantage of when the time comes for estimates and once the work begins. The next step is to get some information from the experts. Start with online resources like this article then request a free home improvement design and estimate from a local home improvement pro. A great variety of finishing materials – tiles, fluid glass, marble, wood, terracotta for example offer you a dizzying variety of designing possibilities. 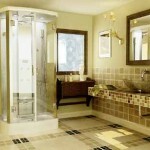 However your choose to design your bathroom if should compliment the overall design of the home. A country style bathroom in a contemporary home may not mix so well. Your new bathroom’s color palate can go a long way to achieve your design objectives. You can make your bathroom appear wider by painting walls on the opposite side of light colors with a hue of grey. 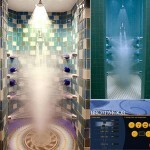 You can also do this for ceilings. You can also use border laid in certain directions to create a similar effect against bright colored tiles and contrasting colors. 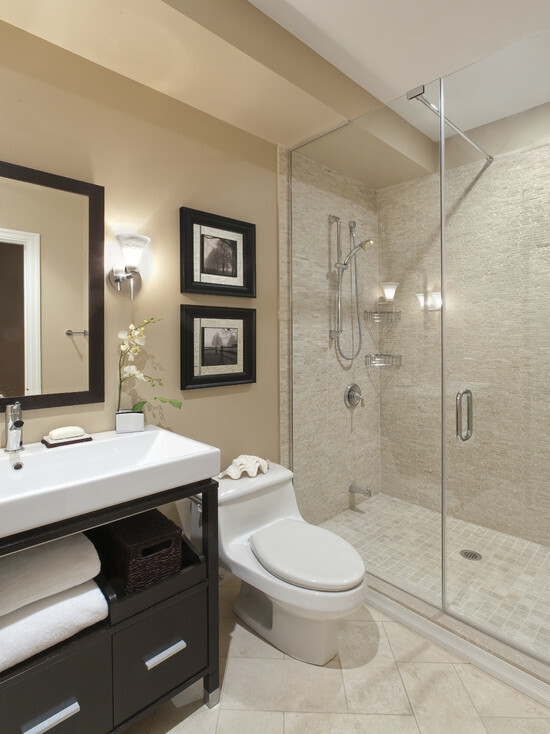 For smaller bathrooms, you can use light, unsaturated colors to add openness. 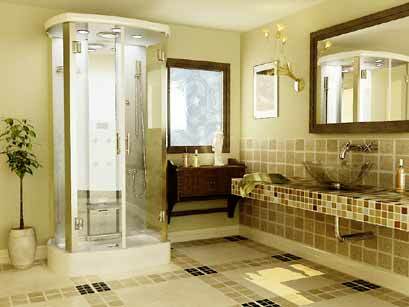 Bathroom walls decoration of different colors will visually diminish a big bathroom space, making it more cozy. Beige, pink, copper and mahogany tints can create a relaxing bathroom. Brighter colors and hues tend to energize the space if you mainly use the bathroom in the morning. Before purchasing a new faucet, toilet, vanity, shower, tub etc. Look up pictures and if possible try them out. 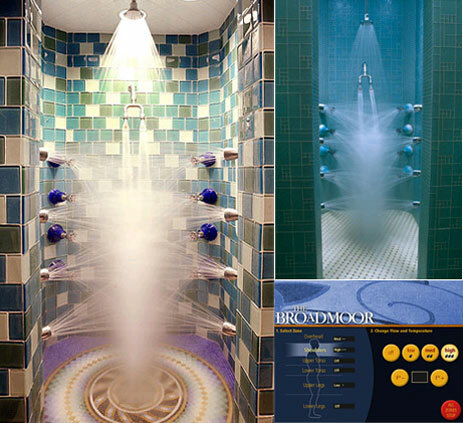 You will be spending years using these fixtures. 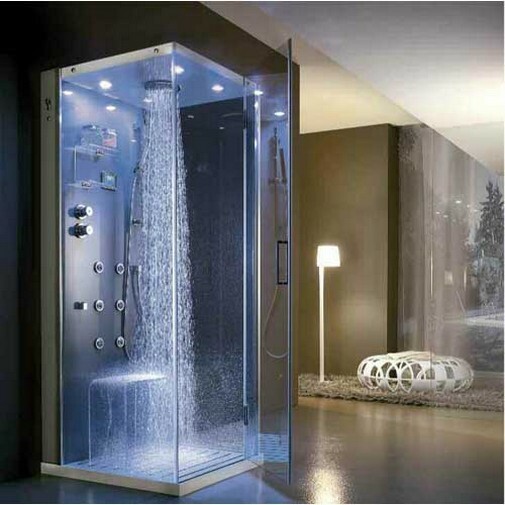 It is best to test them first and make sure that they will suit your real bathroom needs. There is not use putting in a spa tub if you really are not going to use it, and is there anything worse then an uncomfortable toilet? Whatever the size of your particular bathroom undertaking might be, keep in mind that there’s probably going to be some degree of a mess and stress. But try to stay focused on the result because it end up being so rewarding and something that you will enjoy for a long time to come. 5 Ways To Brighten Up Your Bedroom, For Free!